Do you like yoghurt? I don’t as mostly it is too sour for my taste. The Swedes have the perfect alternative: filmjölk. Also a fermented milk it is thicker than e.g. kefir but has a similar light taste. Apart from Norway I have not seen it anywhere outside Sweden (ok, Finland). 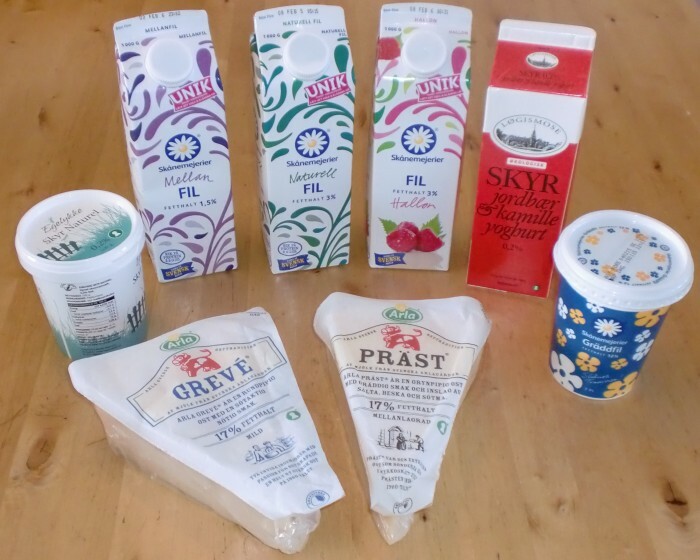 In Danmark there is an Islandic variety Skyr but that’s different stuff, also fermented but it lacks the light taste. Swedish cheese is in my opinion underestimated. 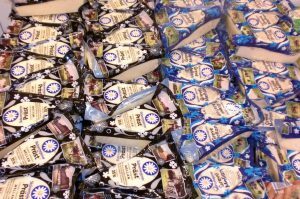 It has a full and fresh taste but not as light as the traditional Gouda from Holland. Sometimes a bit nutty even. Varieties include Präst (cheese from the vicar), Grevé, Herrgård (farm). There is some resemblance with the Danish Havarti. Unfortunately only available in Sweden sofar….